Welcome to my new blog! I am kicking this off with a My Digital Studio layout I completed today of “my favorite things”. I am not sure blogging is one of my favorite things as evidenced by my past efforts but I am sure that My Digital Studio is a huge favorite of mine! I am in the middle of a 21-Day Challenge to make a change in my life. I am committed to moving more & eating better & being more consistent in sharing inspiration and ideas with you! Part of that challenge for me is to try this blogging thing again with a new and better blog platform. So here goes! This layout features many elements of the This and That Epic Day Kit from Stampin’ Up. I love this digital kit, it has so many cute and funky elements that are really fun to play with. When I started building this page I actually started with the coffee picture and then I found the cute picture of my doggie Sofia. That made me think of my favorites and the page just came together after that. I added my wonderful kids and I used the global search function in My Digital Studio to find elements featuring “favorite” or “favorites”. My style is very eclectic and I am drawn to taking things that might not seem to go together at first glance and changing the color or shape or opacity to build them into something whole and pretty. Thank you for stopping by, I hope you found something beautiful to inspire your creativity today! To purchase these products go to my online store! Check here for upcoming events and classes! 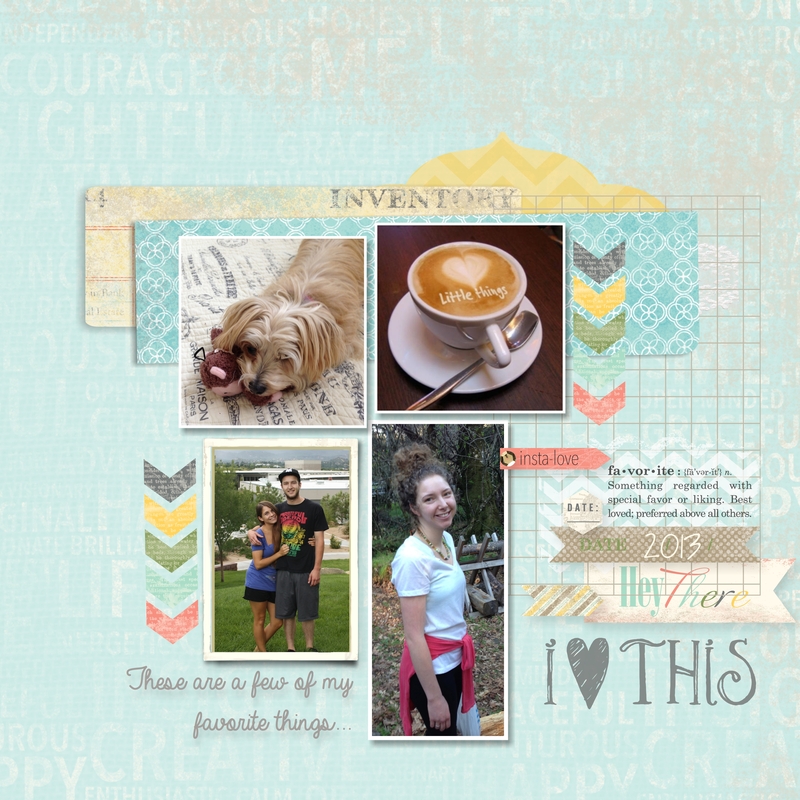 This entry was posted in My Digital Studio, Stampin' Up by kate80132. Bookmark the permalink.